Tales Of A Nomad: Serenity...!! 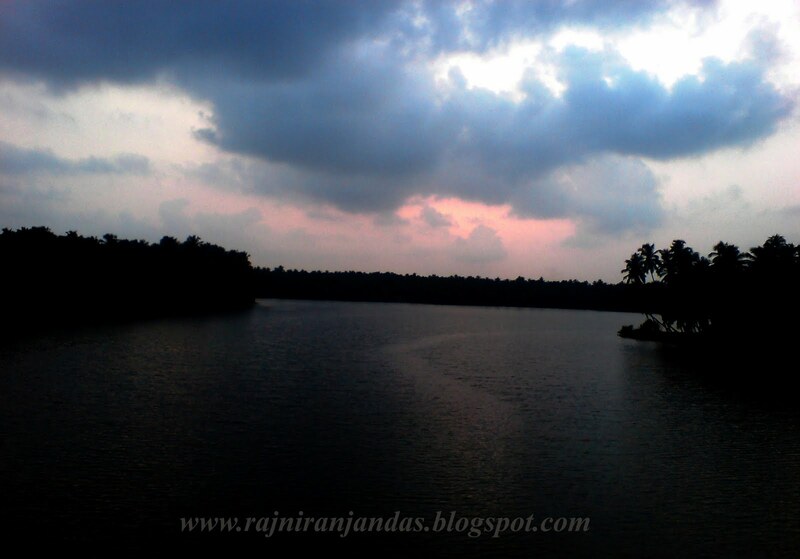 An evening sky over a serene lake in Malabar. This frame was captured from a moving train. May 2009.
beautiful view. is this river chaliyar? Not sure whether its chaliyar. I feel its somewhere in Thrissur or malappuram district. I feel its a lake. Not a river. Thank you Sneo... But now am running short of places. Its time to travel. Water, earth n sky together!!! Awesome!!! Thats a nice observation Bhusha...Thank you. I can almost hear the sounds of an evening in the Malabar area; the birds noisily returning to their nests and the cicadas' calls. Nice one. It was an awesome vista. Thanks Divya. Picture is awesome...telling some tales. Ultimate place. The title suits . Nice picture. Yeah, was a lovely evening sky. indeed serene and Godly!! peaceful ! !